Joe has been serving King of Prussia, PA and the surrounding areas within Lehigh Valley & Montgomery County for over 21 years. The principle with which Joe measures his success is one he likes to call the "WOW Factor". Joe's sole objective as a Mortgage Lender is to "WOW" his clients with superb service and professionalism. This level of commitment has made Joe the top loan executive in the Lehigh Valley. Whether it's a million dollar loan or a first time home buyer, more Realtors, financial planners, borrowers and other business professionals bring their home financing needs to Joe than anyone else in the Valley. They come to Joe for one main reason... Results! Joe enjoys a variety of outdoor activities with fishing being his favorite. Traveling to locations such as New Jersey, Upstate New York, Florida, Puerto Rico, and The Dominican Republic a few times a year allows Joe to recharge all the energy he spends on making sure his clients are well taken care of. As an avid fisherman, Joe enjoys fighting for a good catch which includes Goliath Grouper and Mahi-Mahi just to name a couple. Outdoor sports such as basketball, hiking, and snowboarding always have a place in Joe's busy schedule. Among Joe's favorite hiking spots is the rainforest El Yunque in Puerto Rico. On all of his trips, what Joe enjoys the most is making new friends. Coincidently, making new friends is at the heart of how Joe conducts his business. With that in mind, for your next real estate transaction call Joe and let friends take care of it! 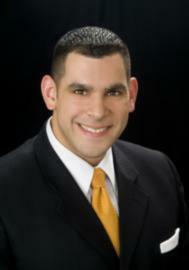 Joe is also able to assist you if you're in one of the surrounding areas to the King of Prussia, PA. If you're planning a road trip or exploring the local area, make sure you check out some of these places to get a feel for the surrounding community. From population statistics to days of sunshine, find out more about King of Prussia, PA.
King of Prussia is a census-designated place in Upper Merion Township, Montgomery County, Pennsylvania. Joe specializes in FHA, VA, Conventional, Jumbo and USDA Mortgage loans. His goal is to build life long relationsips, one loan at a time whether you're interested in an FHA, FHA 203k, VA, Jumbo or USDA mortgage loan. With an experienced team who understands the home buying process, we specialize in the purchase market for first time homebuyer's. With FHA, VA & My Community programs, we can help get you or your clients approved quickly & efficiently. We have someone on staff available to answer questions even during the weekends.